There have been a lot of huge speeding fines covered on PopFi, and strangely, a lot of them have happened in Switzerland. What is it about Switzerland that just makes people want to floor it and speed right through? Do they want to test their driving skills on twisty mountain roads? 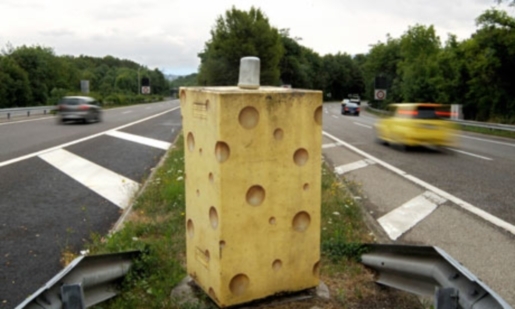 Does the whole country stink of Swiss cheese? Whatever it is, people really want to blow through Switzerland, and a Swedish man traveling between Bern and Lausanne was really high-tailing it; he was driving at 186 miles an hour at one point! That’s how you end up getting a speeding fine of over $1,000,000 US dollars. The 37-year-old Swede blamed his car, a Mercedes SLS, saying that the speedometer must have been faulty. Yeah, right. The guy was driving so fast speeder cameras couldn’t register his real rate, because they are only able to measure people driving up to 125 miles an hour. This is the world’s largest speeding fine (based on the severity of the speeding and the man’s income) and quite possibly the fastest speeder ever caught in Switzerland.